Calling all tuba and euphonium players! 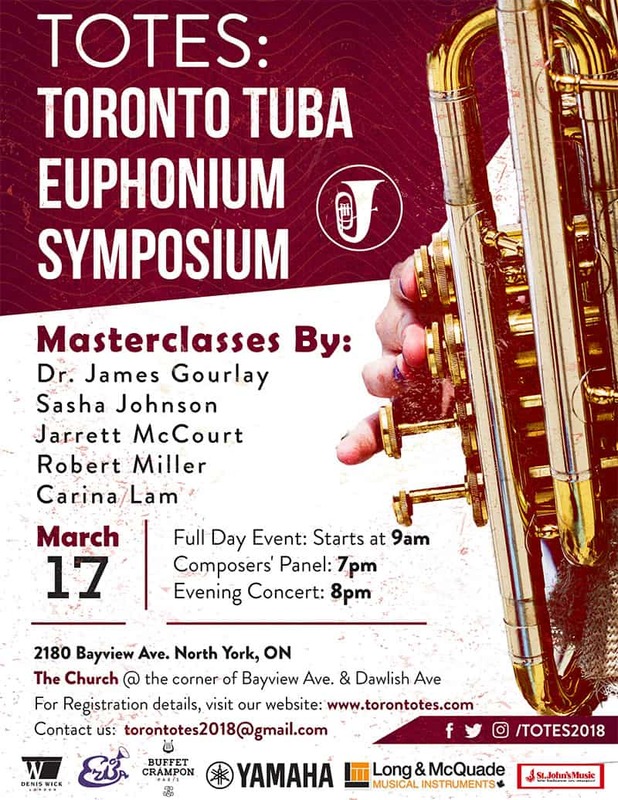 Alliance mouthpieces will be at the Toronto Tuba and Euphonium Symposium this weekend! Many of the great tuba and euphonium manufacturers will be there, so it will be a superb chance to see lots of interesting instruments. Many great players have been invited, including Sasha Johnson, Jarrett McCourt, Robert Miller and Carina Lam. As well as hearing some great playing and listening to some great teachers, attendees will have the opportunity to see the Signature Line David Childs euphonium mouthpieces and Les Neish tuba mouthpieces from Alliance. Tuba virtuoso James Gourlay is one of the stars who will be performing. Jim designed the 1H and 3A Prestige tuba mouthpieces for inclusion with Besson tubas and are a best-seller for Alliance. Come along to TOTES and hear some great playing and see some great instruments and mouthpieces!